Carrier Heat Recovery Ventilators (HRVs) are designed to operate as an integral part of a total HVAC system while improving the homeowner’s indoor air quality. 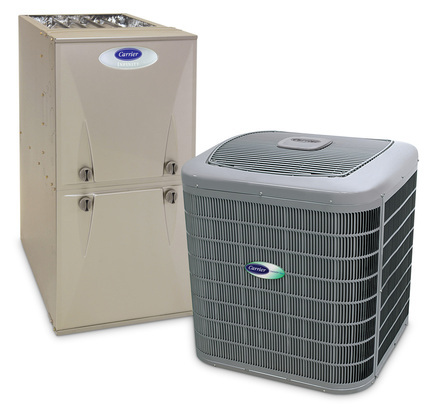 The HRV exhausts stale indoor air to the outside and fresh air is drawn in from outside and delivered into the home. The heat exchange core transfers heat energy to and from the incoming and outgoing air. Excess wintertime humidity and contaminants are flushed from the house. They are excellent for keeping the air in your house fresh and easy to breathe! 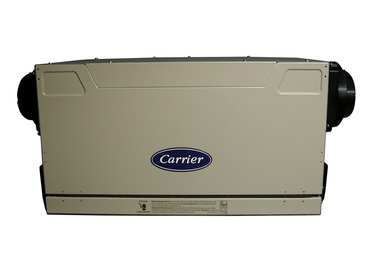 Carrier Energy Recovery Ventilators (ERVs) are designed to operate as an integral part of a total HVAC system while improving the homeowner’s indoor air quality. 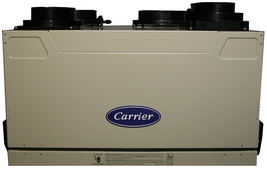 The ERV exhausts stale indoor air to the outside and fresh air is drawn from outside and delivered into the home. The heat exchange core transfers heat energy to and from the incoming and outgoing air. In climates that experience hot & humid conditions, the ERV’s core transfers the unwanted, excess incoming humidity to the outgoing stale air. Airborne contaminants are flushed from the house. 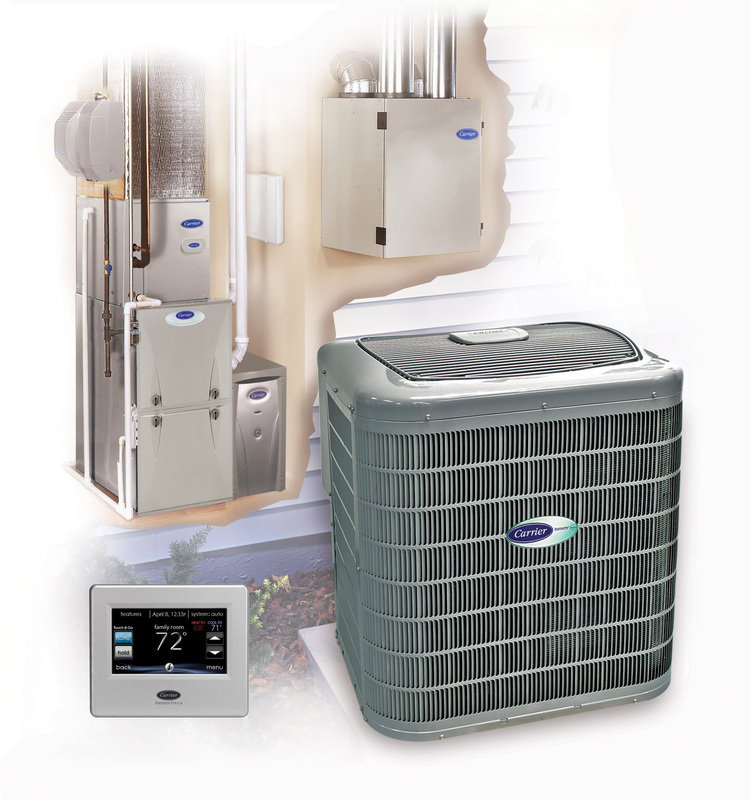 Call Hometown Heating today and ensure you save the most for top of the line products!